Cape Town - Finance Minister Nhlanhla Nene has not strayed much from the more austere fiscal path adopted last year and his mini budget tabled in parliament on Wednesday did not contain any big surprises. With the economy having slowed down, Nene is aware of the limited resources at his disposal. He seems to be honest about the restraints and negative realities, but reluctant to raise taxes. He is prepared to use austerity measures, reallocations, the sale of state assets and contingency reserves to prevent the budget deficit and borrowing from creeping up. He also recognised the need to get a confident private sector behind efforts to grow the economy. Nene said at a press conference before his speech that there is no way “this economy can grow if the private sector is not on board”. Let’s hope that government as a whole shares his thinking and approach. The theme of the mini budget is “Sustaining progress in a low-growth world”. A proposed long-term fiscal guideline will align spending and gross domestic product growth. 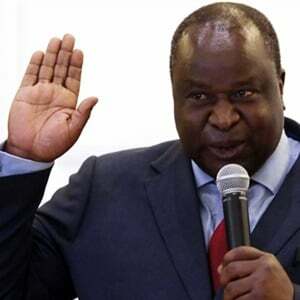 Nene stressed the importance of good fiscal planning and sustainable allocation of public funds, much like in previous budgets. Over the last decade, public spending has doubled in real terms. Nene himself appeared annoyed at a press conference about the strain put on government finances by the rising wage increases negotiated with government unions. Salary hikes will effectively amount to more than 10%, which will mean a shortfall of R12.5bn in the current financial year. Nene already said last year that big salary hikes for civil servants as well as the expansion of the government workforce is unaffordable. • Tax: South Africans will probably pay more taxes from next year (detailed in next February’s budget). The mini budget states that additional taxes will be needed to fund government's ambitious policy agenda, but will be approached with caution given weak economic conditions. No decision has been made on raising VAT, but it remains an option as part of a progressive fiscal system. Projected gross tax revenue is down by R7.6bn this year and R35bn between 2015/16 and 2017/18, compared to the 2015 budget. • Economic growth: This has slowed. Growth of 1.5% (2.0% in the February budget) is expected for 2015 (the same as 2014) and will rise marginally to 1.7% in 2016. Consumer and business confidence is muted, and employment growth remains weak. Inflation is currently under control, but there are upside risks from the exchange rate. The mini budget states that without speeding up the pace of growth, SA will not be able to substantially reduce unemployment, poverty and inequality. • Risks to the fiscal framework: Two risks are identified - slower economic growth means lower revenue and some slippage on budget deficit; and a public wage settlement at 10% higher than inflation means more pressure on public finances. • Compensation budget shortfall: The wage agreement led to a compensation budget shortfall of R12.2bn in the current fiscal year, R20.6bn in 2016/17 and R31.1bn in 2017/18. Moderate declines in employment levels (government’s payroll peaked at about 1.238 million in 2012 and has declined by about 12 000 since then) will absorb some costs in some department budgets and overestimation due to weaknesses in budget management. Most of the costs will, however, be funded through savings reallocations and draw-downs on contingency reserves. - R20bn to extend the electricity grid to poor households. • National debt: Continued restraint in expenditure growth resulted in net debt stabilising at 45.7% of GDP in 2019/20 (in 2008/09 it was about 26% of GDP). Debt-service costs remain the fastest-growing spending category – from R129bn in 2015/16 to R174.6bn in 2018/19 (10.9% of the total budget). - R13bn over three years for accommodating higher than expected growth in grant beneficiary numbers. - R6bn to support the rising cost of free basic services (local equity share). - Revised medium-term expenditure framework shifts of about R9bn from within existing baselines to priority programmes. These include R4.8bn towards road networks; R1.4bn for provincial public transport; and about R1bn in the rollout of broadband infrastructure and broadcast digital migration. • National government departments: These are allocated around 47.5% of the main budget, with provinces around 43% and municipalities around 9%. The provinces are responsible though for the bulk of the government wage bill. 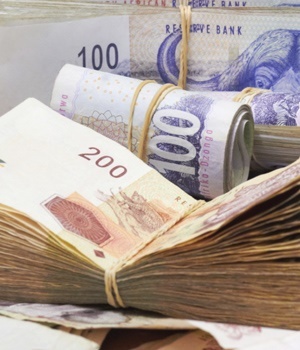 • This year, more than R7bn will be transferred directly from the fiscus to support the operations of South African companies, which also receive about R24bn in tax incentives annually. • One of the big shocks of Nene's mini budget was the complete draw-down of the contingency reserve of R5bn in this year's budget to help finance the shortfall of R12.5bn. This resulted from the agreement with unions to give civil servants an effective average salary increase of just more than 10%. Normally these contingency funds are used for really unexpected emergency shortfalls or costs related to disasters. To use it to compensate mostly already well-paid civil servants does not seem to be right decision, given tough economic times and unemployment in the country.